The purpose of this hop is to introduce you to the newest members of the Craftin Desert Divas Design Team!! They have created some amazing projects that will certainly inspire you!! Plus - we're super excited to share with you two brand new stamp sets that are perfect for all your crafty creations. 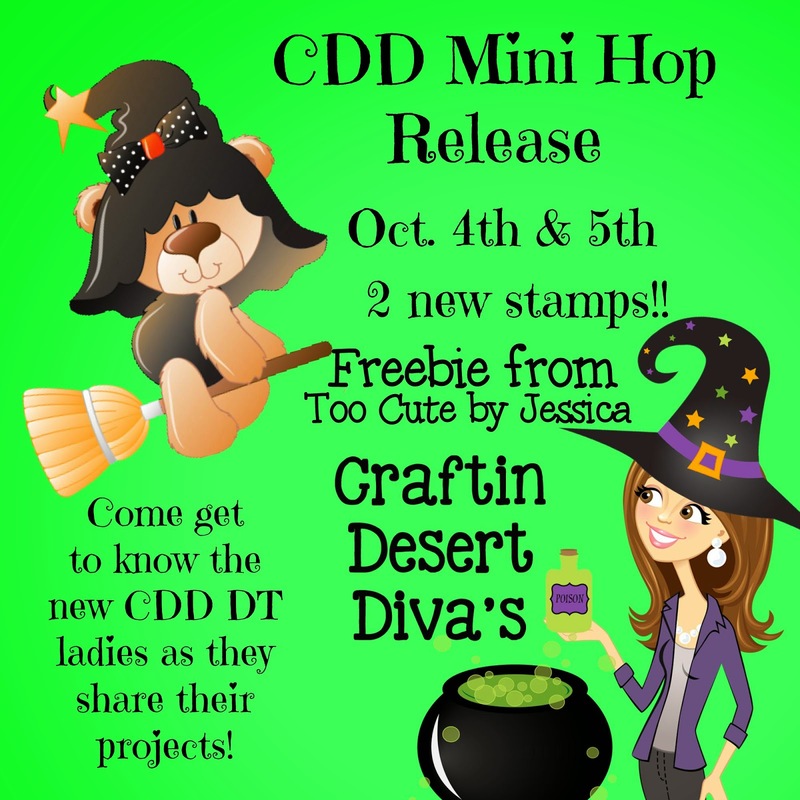 As you will see some of the ladies have shown how these stamps can be used for Halloween or everyday projects. 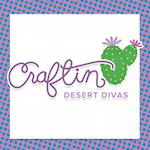 We will be showcasing one new stamp set each day, and that set will be available in the Craftin Desert Divas Shop. There is a hidden link in this hop that will send you to a FREEBIE SVG from Too Cute by Jessica. Be sure to keep your eye out for it. There will be a new freebie one for tomorrow. FREE SVG Outlines are in the CDD Gallery on FB or email and request them after purchase. 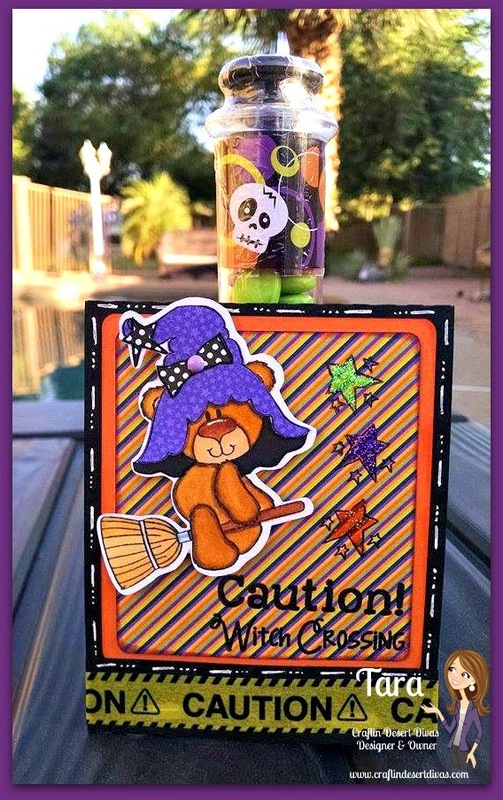 For today I decided to create a matchbox card, but I made it into a treat holder it's by Lori Whitlock and is SS # 26925. I've used Doodlebug Papers and did some more coloring with my Spectrum Noir markers. I did paper piece the hat on the bear. I just couldn't seem to find the right color of purple so I went with paper. 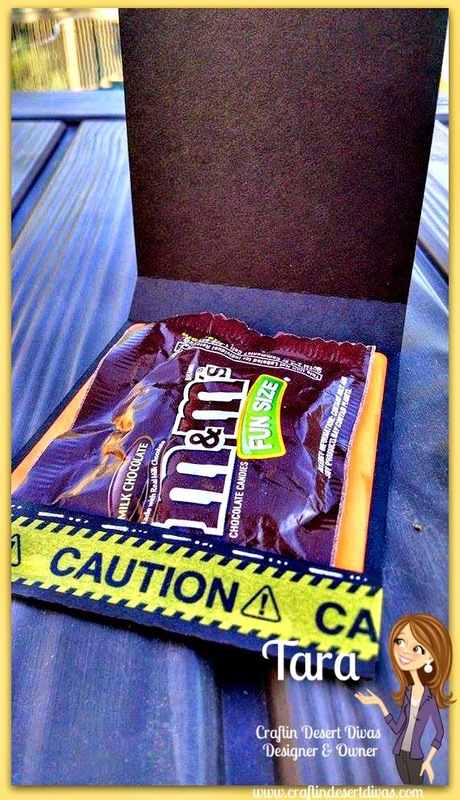 I did make this a bit larger to fit the fun size M&M's. 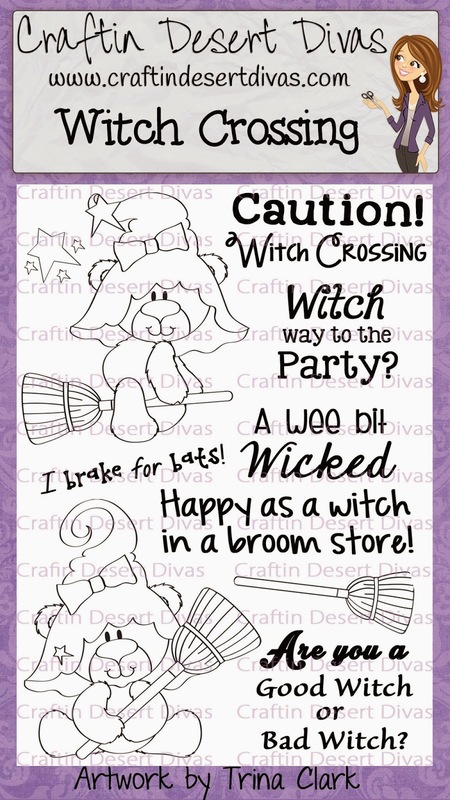 I really think with this Witch Crossing stamp set can be used on a variety projects all year round. 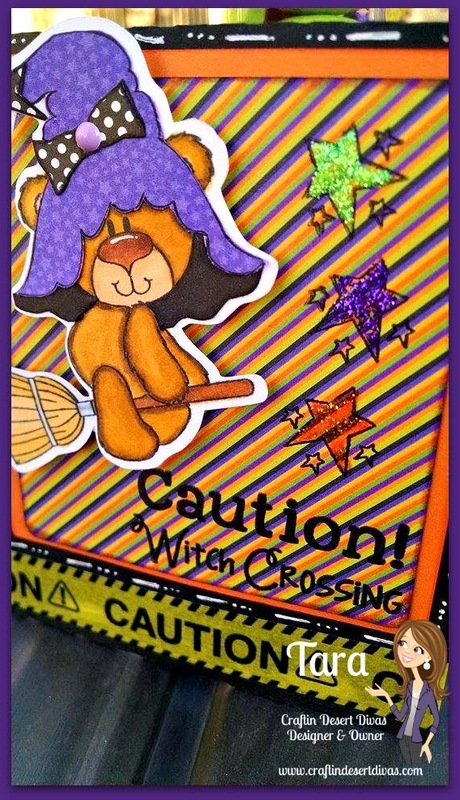 I just love these adorable witch bears!! To finish it up I did so faux stitching, stickles to the stars and added caution washi tape. I'm having a SALE during this hop. Use Code: MINI to receive 20% off your entire purchase. Sale ends Sunday at 12pm MST. 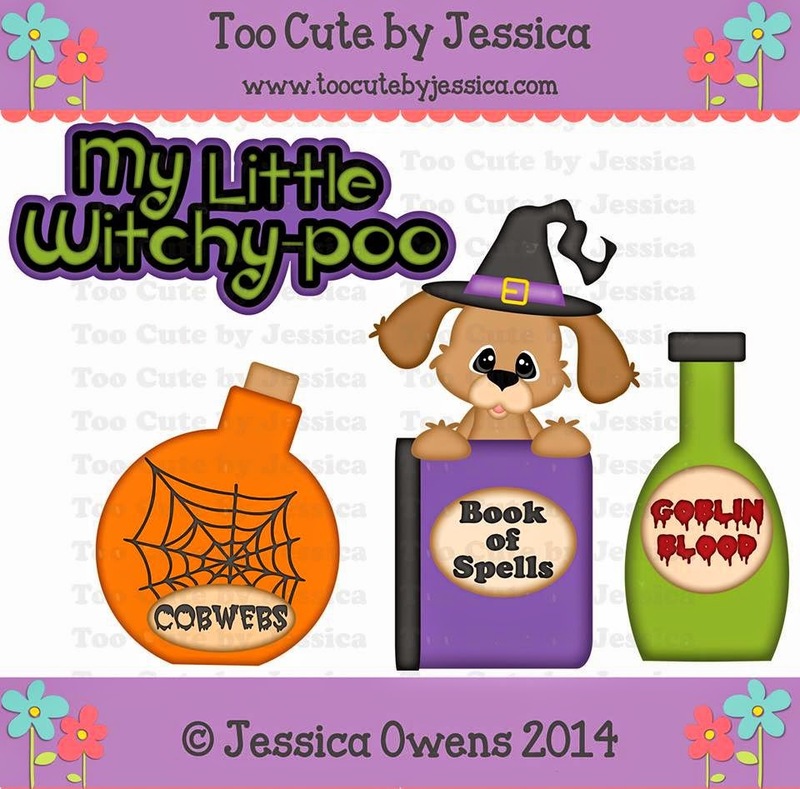 Also, with any purchase receive this My Little Witchy-Poo TCBJ pattern free. 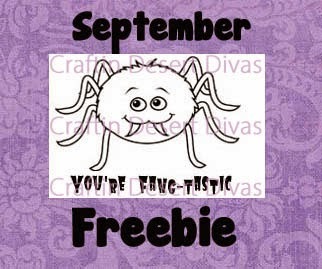 With any minimum 2 stamp purchase you will receive the Sept. spider freebie stamp. 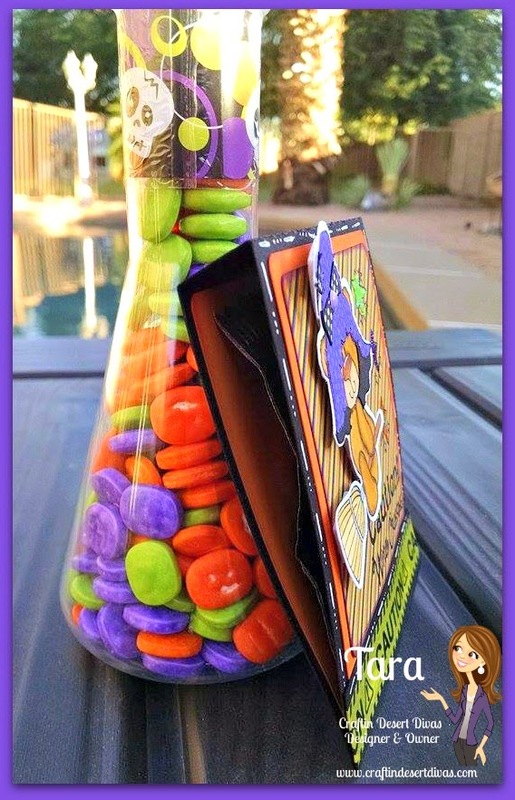 They're perfect for Halloween! !